Writing with access to thousands of recently released official documents, fresh interviews, and the perspective that can come only from a decade of research and reflection, Anthony Summers and Robbyn Swan deliver the first panoramic, authoritative look back at 9/11. For most living Americans, September 11, 2001, is the darkest date in the nation’s history. What exactly happened? Could it have been prevented? How and why did so much acrimony and bad information arise from the ashes of the World Trade Center, the Pentagon, and a quiet field in Pennsylvania? And what remains unresolved? What is certain: Discord and dissent continue to this day. Beginning with the first brutal actions of the hijackers aboard American Airlines Flight 11, The Eleventh Day tracks the precise sequence of events and introduces the players: pilots, terrorists, the airliners’ passengers, and the innocents who died on the ground. Drawing on previously classified records and raw transcripts, Summers and Swan investigate the response of President Bush and the U.S. military that day, and the failure to intercept the hijacked airliners. They document the untruths told afterward by U.S. officials and, as a counterpoint, thoroughly consider the contentions of the “9/11 truth” movement. With meticulous research, they examine the personalities of the men behind the onslaught, analyze the motives that drove them, and expose the U.S. intelligence blunders that preceded the attacks. They note how afterward—without good evidence—the Bush administration persisted in trying to link 9/11 to Iraq. And they confront, finally, the question the 9/11 Commission’s report blurred: Were the terrorists backed by powerful figures in another foreign nation—one the U.S. had long viewed as a friend? 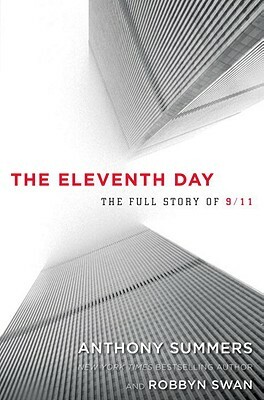 Riveting, revelatory, and unforgettable, thoroughly sourced and complete with extensive endnotes, The Eleventh Day is the essential one-volume work on a pivotal event in our history. Anthony Summers is the award-winning author of seven bestselling nonfiction books. Originally a journalist, he covered events in the United States and the conflicts in Vietnam and the Middle East for the BBC's flagship current affairs program. Robbyn Swan, his co-author and wife, has partnered with Summers on three previous books--including biographies of FBI director J. Edgar Hoover and President Richard Nixon. They have been consultants on documentaries for PBS, the History Channel, CNN, and the BBC.